You probably know it as the ‘sunshine vitamin,’ but Vitamin D is much more than that. It is an often overlooked, and under-consumed supplement, which is proven by the reported 1 billion people worldwide who have a deficiency. Modern lifestyles don’t allow for us to get the amount of vitamin D from the sun we actually need, but don’t worry, there are solutions for that. People who have ample amounts of Vitamin D in their diet, and those who take supplements are better equipped to fight off colds and ailments. There are links between fighting off many types of diseases by consuming enough Vitamin D. It has reparative properties and high levels of Vitamin D3 are often given to patients during treatment to recover from different illnesses and diseases associated with Vitamin D deficiency, like bone, muscular, growth, blood conditions. Attention vegans and vegetarians! You are probably the most at risk for a Vitamin D deficiency, since oily fish are the most common dietary source of Vitamin D, and you have restrictions against eating that. Supplements are strongly recommended. Black and Asian people, take note: your skin types are naturally better at blocking out UV rays, which means you’re also deflecting Vitamin D from the sun. You should also be taking a supplement. Healthy adults between 19-50 years of age, including pregnant or breast feeding women, require 400 – 1,000 IU daily. Those over 50 or those younger adults at high risk (with osteoporosis, multiple fractures, or conditions affecting vitamin D absorption) should receive 800 – 2,000 IU daily. These amounts are safe. 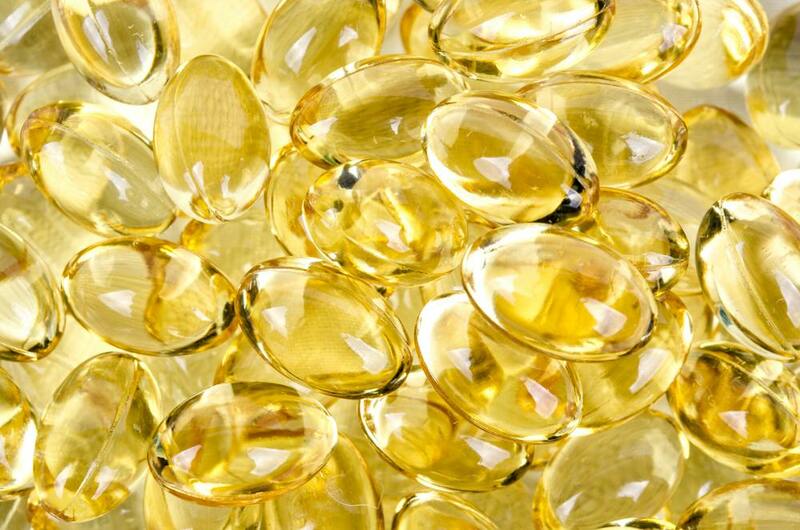 Taking more than 2,000 IU of vitamin D daily should be done only under medical supervision. According to Dr. Steven Grundy, a renowned cardiologist based in Southern California, autoimmune disorders can be fought with Vitamin D. He says that once our gut wall is penetrated by lectins in our food, NSAIDS or alcohol, the gut stem cells’ job is to regrow and seal the gaps. Those stem cells need Vitamin D to grow back. Dr. Grundy also notes that his patients, who are on a gluten-free diet, or are following other directions from their practitioners often have very low levels of Vitamin D. Most of them have to take large amounts to get back to a normal range. He says he routinely runs his cancer patients’ vitamin D levels around 110-120 ng/ml. According to Vitamin D expert, Dr. Michael Holick, cancer patients may respond better to chemotherapy, have less tumor growth and have less metastatic activity, if they increase their Vitamin D intake and get their blood levels in range. Dr. Hollick notes that since chemotherapy causes a photosensitivity reaction, patients can’t just walk out into the sun whenever they please. Chemo can also make them nauseous, and prevent them from eating Vitamin D-enriched foods. Dr. Holick says that after he has treated his patients and increased their Vitamin D levels, they feel better. Vitamin D is crucial for bone health, especially as we age. It helps build stronger bones, partly by increasing the absorption of calcium. Vitamin D also improves the function of muscles, improving your balance and decreasing the your chances of taking a fall. Vitamin D is very important for people with Osteoporosis. Studies show that calcium and vitamin D together can increase bone density in postmenopausal women. During a study in the 1960s, children who received 2,000 IU of vitamin D a day during the first year of life and followed for 31 years reduced their risk of developing type 1 diabetes by 88%. A number of studies have linked Vitamin D deficiency with increased arterial stiffness and endothelial dysfunction, more fatal strokes, and even a higher risk of fatal cancer among patients with cardiovascular disease. A recent study conducted by the University of Copenhagen found that participants with the lowest levels of vitamin D were 64% more likely to have a heart attack, and had a 40% higher risk of ischemic heart disease, a 57% increased risk of early death, and an 81% higher risk of dying from heart disease. How Can I Increase My Vitamin D Levels? Exposing your skin to sunlight every day provides an indirect source of Vitamin D. Healthy sunlight exposure from UVB rays ensures proper Vitamin D levels. Unfortunately, in this day and age, busy people don’t have time to sit around in the sun all day. Vitamin D supplements are usually the route people with a deficiency go to increase their D levels. They’re easy to use, and tell you how much to take with less difficulty. It’s also less hassle for vegans and vegetarians, as long as you make sure the supplement meets your dietary restrictions. There is no difference between vitamin D2 and D3 for raising blood levels of the vitamin, but D3 is superior for sustaining those levels, according to a new study from Argentina. So there you have it. What was once an ignored vitamin in the health community is now one of the most important. Vitamin D is a crucial nutrient that is needed to live a long, healthy life.